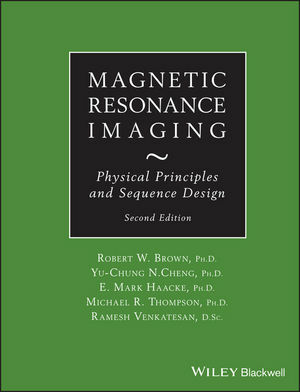 Magnetic Resonance Imaging, Second Edition begins with an introduction to fundamental principles, with coverage of magnetization, relaxation, quantum mechanics, signal detection and acquisition, Fourier imaging, image reconstruction, contrast, signal, and noise. The second part of the text explores MRI methods and applications, including fast imaging, water-fat separation, steady state gradient echo imaging, echo planar imaging, diffusion-weighted imaging, and induced magnetism. Lastly, the text discusses important hardware issues and parallel imaging. Three appendices at the end of the text offer review material for basic electromagnetism and statistics as well as a list of acquisition parameters for the images in the book. Acclaimed by both students and instructors, the second edition of Magnetic Resonance Imaging offers the most comprehensive and approachable introduction to the physics and the applications of magnetic resonance imaging. His research group efforts have resulted in over 200 published papers and abstracts, and his former students hold at least 150 patents (eight co-authored by him) and he has done important work in radiation physics, MRI, PET, CT, electromagnetics, inverse methods, mechanical and thermal modeling, nonlinear dynamics, EEG, MEG, sensors, and physics education, as well as a professional-life-long involvement in elementary particle physics and cosmology. Director of The Magnetic Resonance Imaging Institute for Biomedical Research and Professor of Radiology, Department of Biomedical Engineering, Wayne State University. Dr. Haacke has two decades of experience teaching courses in physics, mathematics and statistics.